Momme is one of the factors used to determine the quality and value of silk. Silk Momme, actually pronounced as moe-me, is a unit of measurement for silk fabric. It is a measure of the weight of silk fabric and the weight is determined by the factors listed below. Generally silk is divided into two categories — cultivated and wild. a. CULTIVATED SILK is a smooth, continuous filament of silk and appears almost glassy and translucent. It also shows a prismatic, rainbow effect. This silk is a reeled/thrown silk and is done by hand. The silkworms are fed mulberry leaves and the silk filaments are anywhere from 500 to 1000 meters long in one cocoon. Several of these are grouped together in the unraveling of the cocoons to make 1 continuous silk yarn. b. WILD SILK is difficult to reel and after being processed is worked up as spun silk. The diet of these worms can be oak, plum and a couple of other kinds of plants. The silk’s colors have a wide range from light beige to a deep tan due to the tannin in the leaves. It is also known as tussah silk. It comes predominantly from China and India (India has the most lustrous tussah) but the quality covers a broad range. It is a very inexpensive silk and for the most part, does not wear well over time. Doupponi immediately comes to mind — hand-woven because of the slubbing effect and therefore ravels very easily. Makes beautiful drapery and dresses that are only going to be worn once. 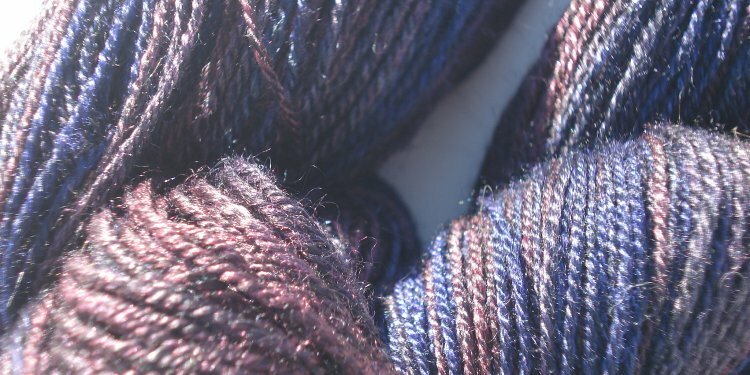 Wild silk filaments are resistant to acids and bleaches which make dyeing the filaments difficult. Generally most tussahs available are in their natural colors such as in shantungs and pongees. Wild silk is a spun/cut silk; this is silk that essentially is woven with broken or short threads. This silk is found in the inside of the cocoon and wears very quickly. This silk is for the most part, rough to the touch, flatter and less elastic with a low luster. Silk is measured by weight either by grams or by momme (mm). 28 grams = 1 ounce. 8 momme = 1 oz. In determining the right silk for your purposes, silk under 20 momme is considered lightweight, 20 to 28 is considered mediumweight and anything above that is considered heavyweight. You can calculate that if a 20mm silk charmeuse sells for $18.00 it would stand to reason that a 30mm would be more expensive and so on. The more body (weight) that a silk has, the longer the shelf-life. Generally, all silks can be washed (except for maybe bridal silk satins) and the heavier ones can be washed repeatedly and still maintain their hand and original beauty. Silk is inherently a drapey, supple fabric. When you see stiff silks it is because a finish has been applied to give it an artificial hand. When you wash that silk, it will lose the finish/crispness that has been added to the silk. There are other considerations as well in making a decision as to which silk you should purchase. 4 ply silk crepe as an example, has a lot of stretch to it. The 4 ply crepe that is finished in China is not as fine a quality as the one that comes out of Korea. The fabric itself is made in China but it is finished in Korea and has a better hand and a lot less stretch. It is also more expensive because of the necessary additional work done to it. The origin of silk plays a part in the value of the silk. The largest supplier of silk yarn is of course, China. India comes in second and Japan third. There are a few other sources but negligible in what they supply to the world market . . . but the FINEST SILK FABRIC comes from Italy and France. China has come a long way from its earlier silk fabric manufacturing to become a supplier of better quality silk fabric for the most part. But not every supplier out of China produces silk of equal value in beauty and durability. As the weight of the silk goes up, so does the price and the durability. A duchesse silk satin from China does not have the same value/beauty as a duchesse silk satin from Italy for instance. Although it is a nice silk, it is not comparable to the silk fabric of Italy and France. But of course, it is less expensive. Almost everyone who sells silk, carries the lightweight selections — they are fairly inexpensive to produce and have a wide range of uses such as painting, linings, lingerie etc. These silks though, over time, will become limp and unattractive. If you want to have a garment that will last, a heavier momme weight is a better choice whenever possible. The cost will be higher but you will get better value for your money. Price is not always a good indication of a poor purchase or a better purchase but couple the cost with a higher weight and you will have a better chance of being able to still wear the garment years down the line. Silk Momme is similar to other units of textile measurement such as denier and tex (density of fibers), super S (fineness for wool), worst count, and yield. Momme is defined as the weight in pounds of a 45 inches by 100 yard piece of silk. Of course, you may have to do some math to figure the momme for a silk you have, since most people don’t have a 100 yard length of silk. Here is a good table of silk momme measurements on Wikipedia.